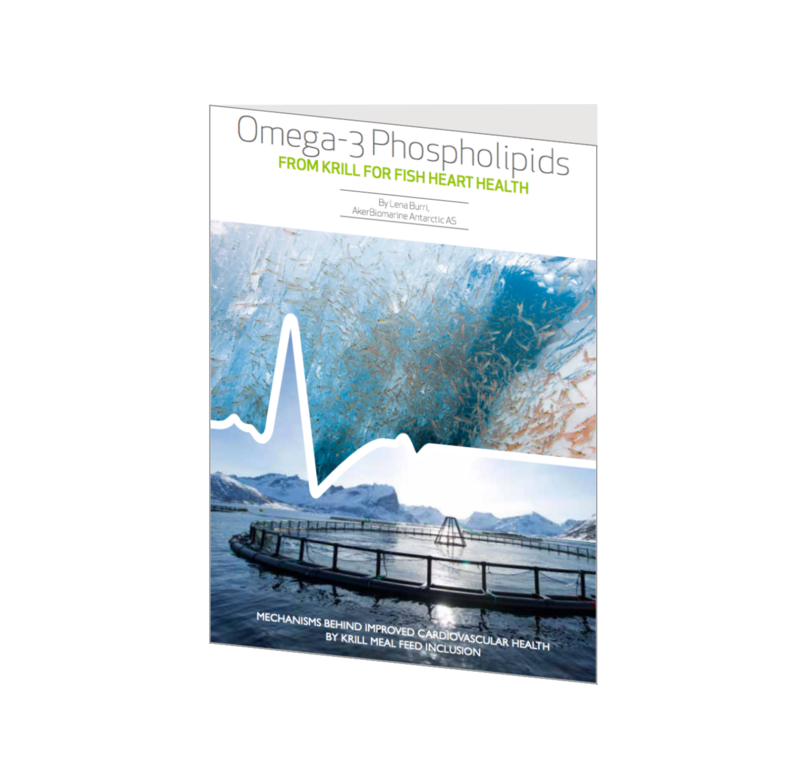 Essential fatty acids are nutritional cornerstones of fish health. Two major families of fats are comprised under this designation, omega 3 and 6 (omega-3 and omega-6 fatty acids). What makes omega-3 particularly essential to fish is that they are not able to make them in the body. Their daily diet must therefore supply them with enough omega-3 to meet their requirements for good health and help protect them against a whole range of diseases and conditions. The fatty acid composition of fish lipids varies according to the fatty acid profile of the dietary lipid. The fatty acid composition of fish also responds to temperature changes in an adaptive mechanism for maintenance of membrane homeoviscosity and physiological function over a range of temperatures. For instance, the dietary intake of essential fatty acids by broodstock must be adequate for ova formation and for embryonic development, with the latter requirement being more critical for reproductive success. Absolute requirements of fish for essential fatty acids are difficult to define and may vary depending upon the dietary ratio of omega-3 and omega-6 fatty acids. Omega-3’s are important for the cells to be strong and flexible in all their tasks. However, are all omega-3’s the same? Do fish get the same benefits by all omega-3’s or is there a difference? Do we need an opinion on what source the omegas is coming from? These are questions raised below. As krill meal from Antarctic krill (Euphasia superba) is a good source of both proteins and lipids, it has been used to replace fish meal in fish diets. Krill oil is a great source of EPA and DHA (omega-3 fatty acids) because the polyunsaturated fats are packaged as phospholipids, which can be used immediately by the body. The majority of every cell membrane in the body is made of phospholipids. This is why the phospholipids form found in krill oil is easier for the body. The omega-3 fatty acids in fish oil, on the other hand, are packaged as triglycerides and have to undergo additional processing in order to make them bioavailable for the cells. Omega-3 triglycerides can be used by the body as an energy source or are stored as fat, therefore a smaller omega-3 amount will get into cell membranes. At the dawn of the new aquaculture era, fish meal replacement is necessary for sustainable aquaculture. The industry is growing rapidly and customer demands are leaning towards sustainable options. This means the need of a source with an extensive distribution. Krill is one of the most abundant species on Earth and, at current levels, is one of the world’s underexploited marine stocks. Although krill is food for whales, penguins and many fishes, there is a scientific confidence that Antarctic krill is in no danger of over harvesting anytime in the near future. This is due to the many regulations in place to protect the ecosystem. The Antarctic krill biomass is under the management of an international organism of 25 countries called theCommission for the Conservation of Antarctic Marine Living Resources (CCAMLR). They also have the authority to further micromanage to counteract any concerns they may have regarding the strength of the krill population during a particular harvesting season. Krill are at the bottom of the chain, meaning they are virtually free of toxins or contaminants. Thanks to this powerful crustaceans, humans can enjoy a life of superior quality omega-3 fatty acids.